P.S: I suddenly had this crazy idea about associating the five elements of nature - fire, water, earth, air and sky to human emotions and love. And in the form of poetry. I wrote about fire and water here. This one is the third in the series, air. P.S.S: I haven't written for seven days. Work kept me super busy. But now, I am back! I sure will. Thank you Inderpreet. the union of Air and fire will be amazing. A novel idea to pen a poem on the elements. Really creative idea to write about air, in combination with fire ! wow!!! how can smone even think like this...forget associating the 5 elements...i can't even put 5 words together...this is like....wow!!! Dude, stop trying to be modest will you. Do not forget you once had a super successful blog. Fire and Air do go well! Beautifully written. I loved the way you brought the two elements so different and showed us that they can still work together. Comparing elements to human nature is something I do sometimes too. I'm loving this series of poems of yours. This was lovely! Missed reading your posts. I was on a break too. Hopefully should write more soon. Thank you darling! I'm waiting for your posts. Excellent! 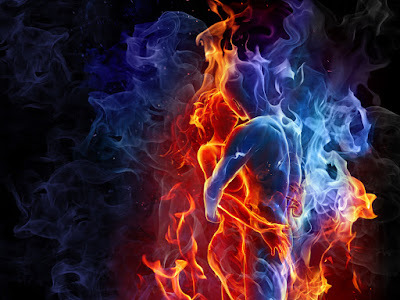 :) The idea to write a poem on fire and air like a love affair is interesting! It flowed nicely.